Shopping for a new Toyota 4Runner? Opt for the Kinetic Dynamic Suspension System no matter how you plan to use your 2018 Toyota 4Runner. 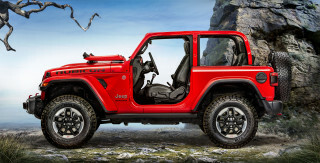 It improves its handling and its off-road tenacity. If you’re going off-road, consider the 2018 Toyota 4Runner. It’s a trusty tool for any kind of expedition, but it’s not so civilized around town. The 2018 Toyota 4Runner feels like reruns of "Seinfeld." We've watched the venerable Toyota SUV for a while now, and although its clothes are dated, the 4Runner's themes still feel fresh. The 2018 4Runner is available in SR5, TRD Off Road, TRD Pro, and Limited trim levels. This year, three new colors enter the 4Runner’s palette and both TRD trims can be dressed up with special matte gray wheels for an extra cost. Every 4Runner is powered by a 4.0-liter V-6 rated at 270 horsepower and 278 pound-feet of torque that sends power to either the rear or all-four wheels via a 5-speed automatic. That’s not high-tech, and neither is the 4Runner’s separate ladder frame and its coil-sprung solid rear axle. Those trucky roots pay dividends off-road, especially in the two TRD models. While even the 4Runner SR5 is a mountain goat, the TRD Off Road adds desirable features like a locking rear differential and a multi-mode traction control system. TRD Pros go further with a light suspension lift, all-terrain tires, and Bilstein shocks. Toyota has two basic faces for the 4Runner and they’re all a little angry. Looks are subjective, but we commend the 4Runner for standing out from the crowd, at least externally. Inside, things are a little more dour, even in full-boat 4Runner Limiteds. Hard plastics abound, although they’re textured nicely. Up front, there’s decent space but a compromised view out. The second row is decent, but the optional third row is for kids only. One more place the 4Runner is behind the times is its safety record. Crash-test scores aren’t top notch and the 4Runner is one of few new vehicles to lack advanced safety tech like automatic emergency braking. Attractive outside, less so inside, the 2018 Toyota 4Runner is unabashedly truck-like. The 2018 Toyota 4Runner’s slice-and-dice look has become familiar, but it’s no less eye-catching. This year’s 4Runner SR5 and TRD trims have the same basic styling with a two-tier grille that appears to jut out a bit. The bottom of the front bumper digs in deeply, which improves the approach angle. The tonier Limited is dressed up with chrome, including a large strip across its front bumper that looks like a shiny mustache to us. From the side, all models are essentially the same two-box shape, although Limiteds trade the 17-inch wheels on other models for taller 20s with less sidewall. At the rear, the 4Runner looks a little disjointed, with some unusual curves and haphazard badge placement. The clear taillights fitted to all models are another throwback to a look that was en vogue a decade ago. Inside, the 4Runner’s dash isn’t very deep, which puts the windshield close to drivers and passengers. 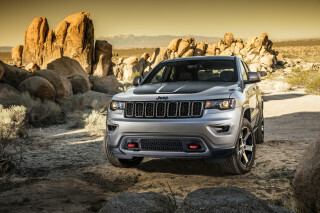 That’s a boon for off-road visibility, but it leads to an interior that feels more claustrophobic than it really is. It’s not a stylish place, but it does mostly get the job done. Controls are generally arranged well with the audio system mounted high on the dash and blocky, cartoonish climate knobs taking up considerable real estate below. On TRD trims, more switches and knobs sit aircraft-style in the overhead console for various off-road functions. It’s an odd placement, but given that these are occasional use features for most drivers, we’re all right with that. The 2018 Toyota 4Runner shines off-road. Around town, not so much. It’s not fast and it doesn’t handle particularly well, but the 2018 Toyota 4Runner has a couple of trick suspension setups ready to attack just about any kind of trail. Today’s 4Runner comes only with a 4.0-liter V-6 engine rated at 270 horsepower and 278 pound-feet of torque. It’s paired to a 5-speed automatic that’s down a cog or four versus the industry’s best. SR5 and Limited models offer a choice of rear- or four-wheel drive, while both TRD grades are predictably only available as 4x4s. Frankly, a rear-wheel-drive 4Runner misses the point. That four-wheel-drive system is an old-school, slippery road-only part-time system on SR5 and TRDs; Limiteds feature a convenient automatic mode that can be left engaged over any kind of terrain. With a curb weight upward of 4,500 pounds, 4Runners are portly, but the V-6 provides adequate thrust. It’s refined at idle but can sing a less-than-mellifluous song when pressed into duty. At least the 5-speed is quick to respond to keep things going even up hefty grades with passengers and cargo aboard. The 4Runner is rated to tow up to 5,000 pounds. That’s not a lot for an SUV, but it’s enough to be confident with a smaller boat or a travel trailer strapped behind. 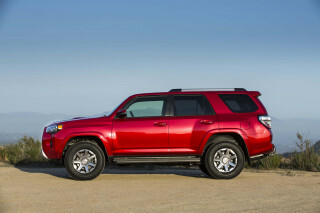 The 4Runner’s tall tires provide it with a soft ride that can turn bouncy over undulating pavement. Its thick-rimmed steering wheel hints at a sporty side, but limited steering feel and light on-center characteristics nix any thoughts at a fun afternoon of corner-carving. Limiteds are a bit more composed on their 20-inch wheels and with their special X-REAS suspension that links all four tires to an absorber located under the center of the vehicle to reduce lean in corners. It works without the downside of an uncomfortably stiff on-road ride. But that’s not what the 4Runner is about. Turn off the highway and onto an unpaved fire road and it comes into its own. Its two-speed transfer case means it can expertly traverse difficult terrain at low speeds. Order up a TRD Off Road or TRD Pro and you’ll net Toyota’s nifty Crawl Control, which is basically off-road cruise control. A dial mounted near the map light switches lets drivers select a speed; at that point, it’s just about turning the steering wheel. 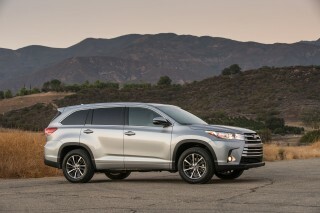 Crawl Control automatically applies the 4Runner’s brakes to help it slink over obstacles. It’s alarmingly loud as the anti-lock system activates, but it works well. 4Runner TRD trims also have a push-button locking rear differential to better apportion power between the rear wheels off-road and they have a knob to select various different traction control modes. Opt for the TRD Pro and you’ll need beefier skid plates and Bilstein shocks that take bigger bumps at higher speeds in stride. The TRD Pro isn’t available with the 4Runner’s innovative Kinetic Dynamic Suspension System (KDSS) that’s optional on the TRD Off Road, however. 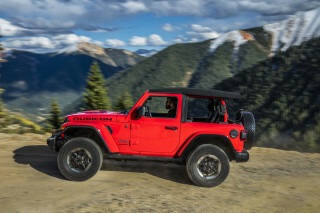 This worthwhile option pairs extra-large sway bars with hydraulic actuators that automatically disconnect things for more off-road articulation. The upside to KDSS can be felt every day since it helps the 4Runner corner much more flatly than the stock setup. The 2018 Toyota 4Runner’s trucky roots force some interior compromises, but it is quite roomy. The tall-riding 2018 Toyota 4Runner requires a big leap to get in, but once you’re there, it’s comfortable and screwed together well. Up front, firmly supportive captain’s chairs can be upholstered in fabric, synthetic leather, or real leather, depending on the trim level. Our favorite here might be the fake hide for its hard-wearing nature and reasonably convincing feel. Second row passengers will find decent room at the outboard seats, a flop-down armrest, and backrests that adjust 16 degrees each. Three abreast is a bit tight, but possible. The optional third row is a rare pick, and it’s easy to see why: It’s hard to access and suited only for occasional use. Row three doesn’t take up much space when stowed, however. A base 4Runner features up to 47.2 cubic feet of cargo space behind the second row and nearly 90 cubes of maximum hauling room inside. Most 4Runners are optioned up with a nifty sliding floor that can be pulled out for easier cargo loading; it robs a mere foot of cargo space and is worthwhile given how high off the ground the load space is. 4Runners don’t have a power tailgate, but they make up for that deficit with a useful power rear window that slides down at the press of a button. It’s as nice for loading smaller cargo items as it is for windows down driving. The 2018 Toyota 4Runner is behind the times when it comes to advanced safety tech. All 2018 4Runners come with a rearview camera, eight airbags, stability control, active head restraints, and anti-lock brakes. But that’s about where the safety tech stops. You won’t find blind-spot monitors, automatic emergency braking, or forward-collision warnings here. Additionally, the 4Runner’s crash-test scores aren’t top-notch. 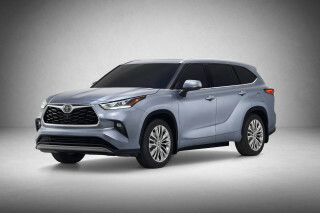 The government awards this SUV line four stars overall, including four for frontal crash protection, five for side impacts, and three for rollover. From off- to on-road, there is a 2018 Toyota 4Runner for almost every need. Several flavors of the 2018 Toyota 4Runner are on offer, each with its own personality. No 4Runner is cheap, but they generally undercut equivalent Jeep Wrangler Unlimiteds while offering far better everyday manners. The 4Runner line starts with the SR5, which is available in base and Premium variants. At the entry level, the 4Runner SR5 features a power driver’s seat, a rearview camera, a 6.1-inch infotainment system, an eight-speaker stereo, and 17-inch alloy wheels. The SR5 Premium grade adds synthetic leather upholstery, front seat heaters, and a navigation system. The SR5 trims are both offered with a 50/50-split third row seat, a pull-out shelf that doubles as the cargo floor, and running boards. The standard SR5 can also be equipped with navigation, while the SR5 Premium offers a moonroof. From there, two TRD-badged models offer more off-road ability. The aptly named 4Runner TRD Off Road and TRD Off Road Premium build on both SR5 and SR5 Premium. 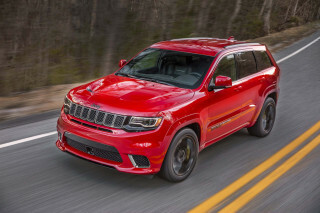 They add a full kit of off-road gear like a locking rear differential, Crawl Control (essentially off-road cruise control), and more modes for the traction control system. Toyota’s Kinetic Dynamic Suspension System with its beefy sway bars that disconnect automatically for off-road use is optional and highly recommended. 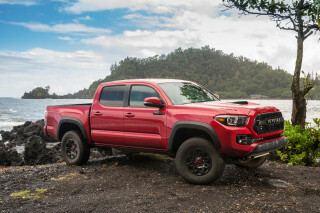 The TRD Pro starts with the TRD Off Road’s equipment and adds a few styling changes like exclusive wheels and a unique front grille, a heavy-duty suspension that sits higher and features Bilstein shocks, and thicker skid plates. The TRD models don’t offer three rows of seating, but they are available with a new-for-2018 package that includes matte gray alloy wheels and upgraded skid plates. 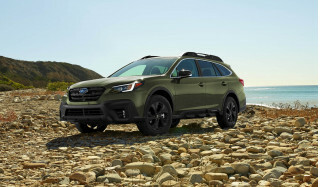 A new Wilderness Package for all but the Limited includes roof rack cross bars, rubber floor mats, and a rubber cargo mat. 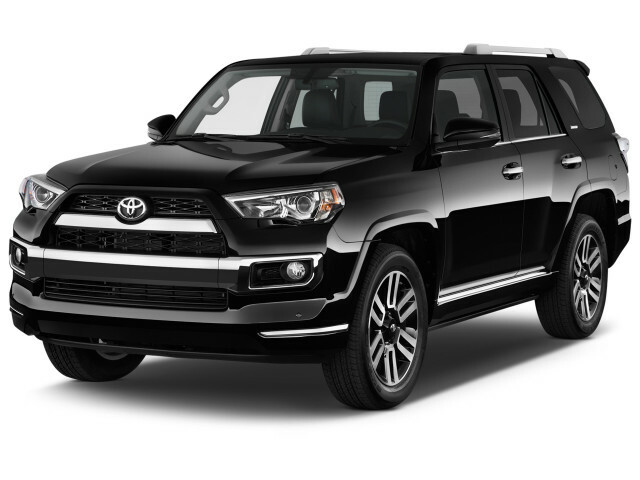 The 4Runner Limited has its own look outside, 20-inch alloy wheels, leather upholstery that is both cooled and heated up front, dual-zone automatic climate control, and 15 speakers of JBL-branded audio. A third row is optional on the 4Runner Limited. The 4Runner lineup also includes two years’ of oil changes and other basic maintenance. Guzzling fuel is the 2018 Toyota 4Runner’s favorite pastime. The 2018 Toyota 4Runner is a throwback SUV—and that applies to its fuel economy, too. With four-wheel drive, the 4Runner is rated at 17 mpg city, 20 highway, 18 combined. Stick with the rear-drive SR5 or Limited and it’s only slightly better: 17/21/18 mpg. There’s only one engine and transmission choice and, at least for now, there’s no 4Runner hybrid. 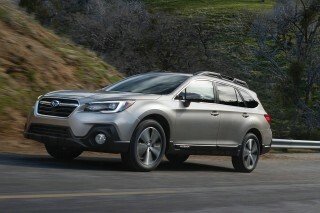 If fuel efficiency is your main concern, a crossover may be a better choice. Looking for a different year of the Toyota 4Runner?